Thanks for visiting today! Join me in welcoming Joan Hall, one of my fellow contributing authors from Story Empire. Also, welcome to a lot of new visitors today from various other blogs and groups including those from Story Empire and Joan’s followers. Take it away Joan! Good morning everyone! This is the first day for the Story Empire Roadshow and I’m excited to be a part of it. I want to thank Paul for hosting me today on this first stop of the tour. 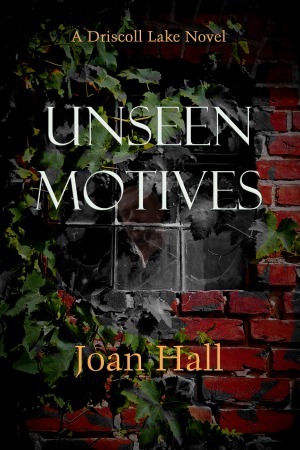 The title of the book I’m featuring this week is Unseen Motives, a mystery/suspense novel. Originally planned as a stand-alone book set in the fictitious town of Driscoll Lake, Texas, I soon discovered the town has many hidden secrets—more than I can tell you in one book. Therefore, I decided to write two more books set in Driscoll Lake. I plan to release Unknown Reasons sometime in late summer and Unclear Purposes in early 2018. Today, however, I’d like to give you a brief tour around town. Driscoll Lake is a small place a hundred miles or so east of Dallas. I loosely based the town on the place where I grew up (and still live). Once a small farming community, Driscoll Lake started to grow rapidly in the mid-1990s. The farms faded away as new housing developments sprang up in and around the town. Driscoll Lake soon became home to mostly white-collar workers who commuted to the larger (also fictitious) town of Brewster. Stephanie Harris is the main character in Unseen Motives and is a best-selling author. She lived with her parents in Driscoll Lake until she was fourteen-years-old. After her father’s death by suicide, and subsequent accusations of murder and embezzlement against him, Stephanie moved away with her mother. Twenty years later, she returned home for the funeral of her great-aunt and soon learns that not everything about her father’s death is what it seems. Although Stephanie was surprised to see how much the town had grown, many sites and traditions are familiar to her. The town’s first water tower still stands, but with a fresh coat of paint. Stephanie remembered when one of her old classmates, Brian Nichols, climbed the tower and spray painted graffiti on the top. Cameron Manufacturing was once the town’s main source of employment. 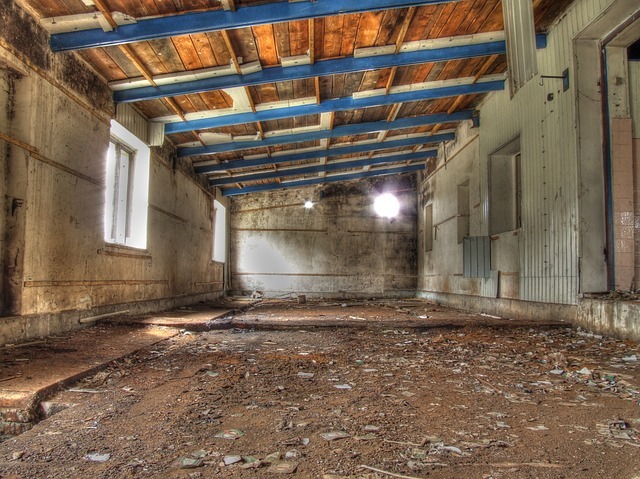 Forced to close after the scandal involving Stephanie’s father, the abandoned buildings remain. 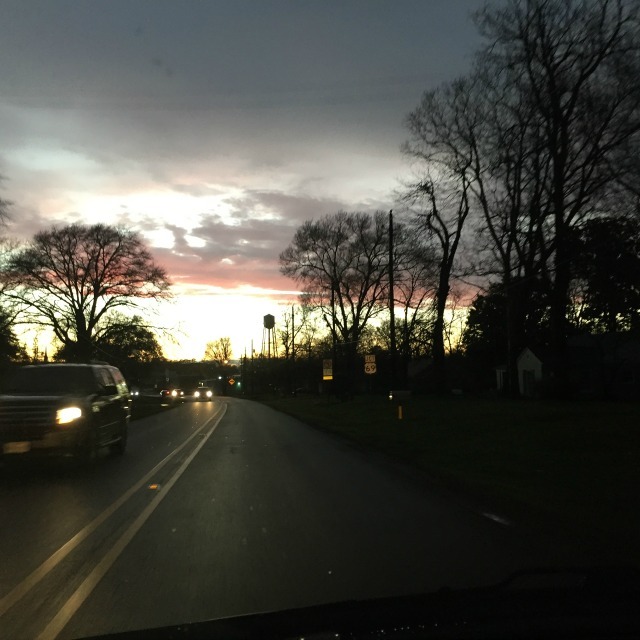 Soon after her arrival in Driscoll Lake, Stephanie takes a nostalgic drive around the town, but avoids driving by the factory because her father died there. 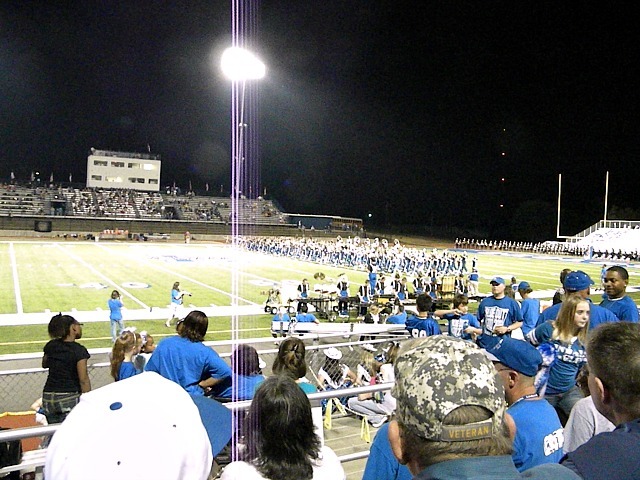 Friday night football and marching bands are big in the state of Texas and Driscoll Lake is no exception. Stephanie’s one and only time to march with the high school band came on the Friday night her father died. It was hard to think about the good moments before she learned of his death, but she could still picture the high-school quarterback, Matt Bradford, and remembered her schoolgirl crush on him. He’s now the police chief of Driscoll Lake. I hope you enjoyed this short tour of Driscoll Lake. Unseen Motives is on sale this week for .99. Click here for the purchase link. On tomorrow’s tour stop, I’ll reveal a little more about the town and its secrets. At the end of the week, I’ll select two random winners for $10.00 Amazon gift cards. To enter, leave a comment below. I’d like to know your impression of Driscoll Lake and small town life in general. That was quite a tour! Be sure to check out Unseen Motives and Joan’s website as well as the rest of the stops on the Story Empire Roadshow where you can find our tour schedule for today and all week. Also, please make sure to leave comments below so you can be in the running for Joan’s prize at the end of the week! Thanks for visiting today and have a fun week! I did enjoy my tour of Driscoll Lake! I added your book to my kindle and look forward to reading it. Thanks for the sale. Thank you so much! Glad you enjoyed the tour and I hope you like the book. Happy to host today! Great job by Joan! P. H. – Just want to take a moment to thank you for hosting me today. I’m excited about our tour this week and wish you all the best. Thanks, Joan! I’m looking forward to the week! Nice tour of your setting! P. H., great job kicking off the tour with Joan. And Joan, it was wonderful learning about Driscoll Lake. I loved the first book and can’t wait to read more! Happy to host today. Joan did a fantastic job showing us Driscoll Lake. Staci, thanks so much. I can’t wait to finish book two. I’m probably more excited about it than the first one. She’s had a great day so far! Staci, as you may have guessed, some of the photos are my own. The photo of the water tower is in my hometown. (And yes, a classmate climbed it and wrote his name on it years ago!) The football stadium is ours and that’s our high school band. Have to brag. We’ve had 42 straight years of winning a Division 1 marching contest. Thanks for stopping by today, Harmony! I know what you mean about the TBR list. Mine gets longer everyday (just like my to-do list). Thanks for the visit! I love small towns, especially those that harbor secrets. I enjoyed reading Unseen Motives and look forward to the rest of the upcoming books in the series. Great kick-off to the tour, Joan and P.H! Thanks for stopping by today, Mae! Happy to host Joan today, she did a wonderful job! Mae, I grew up in a small town and yes, they do have their secrets. We’ll learn more about some of those for Driscoll Lake as the tour continues. Looking forward to it, Joan! I absolutely loved Unseen Motives and can’t wait for Unseen Reasons to be released! Driscoll Lake is so vivid in your words , Joan, I can picture myself there. Thanks for stopping by and leaving a comment today, Irene. You’ve got a point about small towns, Irene. The one where I live now is around 5000 people (but that is in the city limits). With a nearby gated community and rural housing developments, we have a large school district. I don’t consider life to be boring here! Here’s to small towns. I grew up in one that was twenty years behind the times, and I wouldn’t change it for anything. That can be one of the best things about a small town. Thanks for stopping by today, Craig! There is something to be said about small town life. I guess because I grew up on one, it’s hard for me to think about living in a big city. Natalie, I hope you enjoy the book. I love small town life! As always, thanks for your encouragement and support. Thanks for stopping by this evening Natalie. Sorry…I hit post too soon. 🙂 Many thanks for the warm welcome, P.H.! Looking forward to reading it, Joan! Best of luck with the tour!